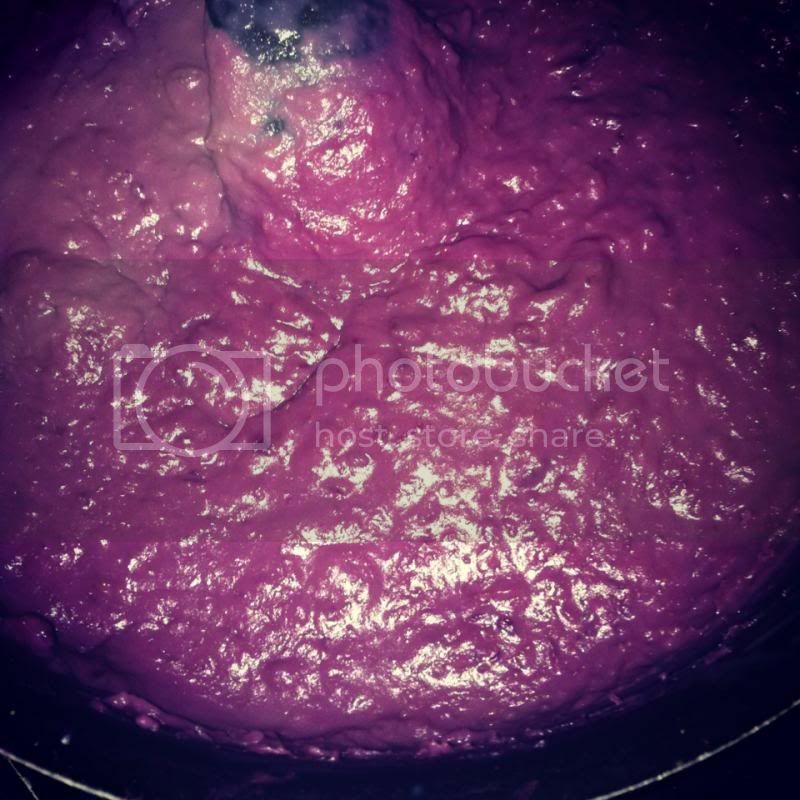 You might be wondering what this purple sticky one I am making, we in the Philippines have known this as “Ube Jam” or Purple Yam. This is made of sweet purple potato condense milk and evaporated milk. I have finally found this sweet purple potato at Tops [our local store] one Friday afternoon. I remember the last time I ate one of this jam is when I visited my homeland, the Philippines. My gorgeous sister cooked it for me, as she knew I could hardly find this kind of potato in the USA. When I saw this kind of potato, I never hesitated to buy a pound to make. I was very excited. The process is very easy; all you need it so boil the potatoes just like when making a mashed potato. Once it is mushy, you peeled it off and mashed it, in a new pot, melt butter, and heat. Once the butter is melted, put the mashed potato together with the condensed milk and evaporated milk. Stir constantly until you see that the milk was already mixing together with the potato. Then you can tell if the mixture is done or because it started to get thicker. So there you go. I have finally made my own “Ube Jam” and now I can eat them anytime I want.